World War I was over and most Americans were eager for peace and security; but, 1919 would prove to be anything but. Revolution and unrest ran rampant across Europe and North America, the Flu Pandemic continued from the prior year with a third brutal wave in the Spring, terrorist bombings rocked seven U.S. cities in June, the first of a series of “Red Scares” began when the government passed an act that blacklisted anyone thought to be involved with communism, race riots rocked the nation, and hundreds of workers went on strike across the country. 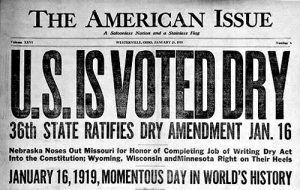 The adoption of constitutional amendments giving women the vote and establishing Prohibition denoted the high-water mark of the moral impulses of the Progressive era. 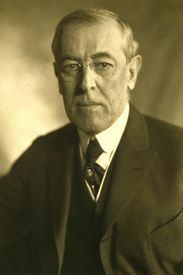 Voters grew disillusioned during the Wilson years, with many feeling the President and the Progressives went too far, the terrorist bombings further alienated people from the government, and that World War I did more to feed these ideals as citizens questioned the reasons and results of the conflict. In 1920, America elected Warren Harding with over 60% of the vote and Progressive Democratic candidates suffered for Wilson’s sins and the events from 1919. Many historians today summarize 1919 as rivaling 1968 as the worst year in twentieth century American history. Here’s our look at the year 1919. After moving from its southern rural roots, jazz establishes Chicago as its capital. The city will become home to such jazz greats as trumpeter Louis Armstrong and pianist Jelly Roll Morton. 185,440 people die in the third wave of the Flu Pandemic. Dial telephones are introduced by the American Telephone and Telegraph Company. The first rotary dial telephones in the Bell System installed in Norfolk, Virginia. 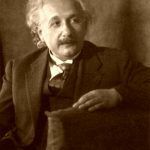 Albert Einstein’s theory of general relativity is confirmed when the Royal Astronomical Society sees the predicted effect during a solar eclipse. Eighty three African-Americans are lynched–many of them soldiers returning home from World War I. At the same time, the Ku Klux Klan is operating out of 27 states. The pamphlet, Thirty Years of Lynching in the United States: 1898-1918 is published by the NAACP. The report is used to appeal to lawmakers to end the social, political and economic terrorism associated with lynching. The pop-up toaster, short wave radios, and arc welders were invented in the US in 1919. The most popular baby names for boys were John, William, James, Robert and Charles. For girls, Mary, Helen, Dorothy, Margaret, and Ruth. January 1 – Edsel Ford succeeds his father as head of the Ford Motor Company. January 15 – The Boston Molasses Disaster: A wave of molasses released from an exploding storage tank sweeps through Boston, killing 21 and injuring 150. 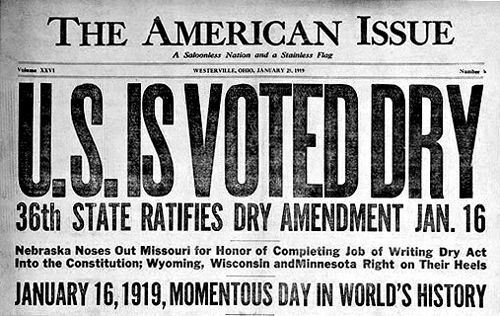 January 16 – The 18th Amendment to the United States Constitution, authorizing Prohibition, goes into effect in the United States. January 25 – The Hotel Pennsylvania is built in Manhattan, New York and becomes the world’s most popular hotel. February 5 – Charlie Chaplin, Mary Pickford, Douglas Fairbanks and D.W. Griffith launch United Artists in an attempt to control their own work. February 6 – After two years of World War I wage controls, the Seattle General Strike begins. The five-day general work stoppage by more than 65,000 workers in the city of Seattle, Washington lasted from February 6 to February 11. February 11 – The Seattle General Strike ends when Federal troops are summoned by the state of Washington’s Attorney General. February 25 – Oregon places a 1 cent per U.S. gallon tax on gasoline, becoming the first U.S. state to levy a gasoline tax. An act of the United States Congress establishes most of the Grand Canyon as a United States National Park. The first natural lands east of the Mississippi River are established as a national park in legislation signed into law by President Woodrow Wilson. The area, known as Lafayette National Park in Maine is located at Mount Desert Island and known since then as Acadia National Park. March – The Red Scare begins when Vladimir Lenin starts a revolution in Russia that changes the Russian government to communism. As a result, the U.S. passed an act that would blacklist anyone that had been thought to be involved with communism. April 13 – Eugene V. Debs enters prison at the Atlanta Federal Penitentiary in Atlanta, Georgia for speaking out against the draft during World War I.
April 15 – The Boston Telephone Strike begins. It ends successfully for the telephone operators and supporters on April 20th. May 1 – The May Day Riots of 1919 were a series of violent demonstrations that occurred throughout Cleveland, Ohio when Socialist leader Charles Ruthenberg organized a May Day parade of local trade unionists, socialists, communists, and anarchists to protest the jailing of Eugene V. Debs. Debs was a union leader, one of the founding members of the Industrial Workers of the World, and five times the candidate of the Socialist Party of America for President of the United States. Two people are killed, 40 injured, and 116 arrested. May 8 – A United States navy seaplane begins the first transatlantic flight, making stops in Newfoundland and the Azores before touching ground in continental Europe in Lisbon, Portugal on May 27th. May 10 – Following postwar social tensions related to the demobilization of veterans of World War I and competition for jobs among whites and blacks, the first race riot of what became known as Red Summer occurs in Charleston, South Carolina. Before it had ended, riots would erupt in 26 U.S. cities through the summer and fall of the year. In most instances, whites attacked African Americans. In some cases many blacks fought back, notably in Chicago, where, along with Washington, D.C. and Elaine, Arkansas, the greatest number of fatalities occurred. The riots were extensively documented in the press, which along with the federal government conflated black movements to bolshevism. “Armed resistance” movements started as a response to the riots. Hello. The person who typed the list of new words in 1919 didn’t know the origin of the word ” copacetic” but on another website there it is apparently found in a biography of Lincoln by J. Alfred Sharp. I’ve updated the article to say “first found in print” in 1919 and removed “origins unknown”. This is based on the Merriam-Webster definition.